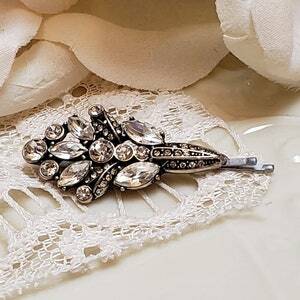 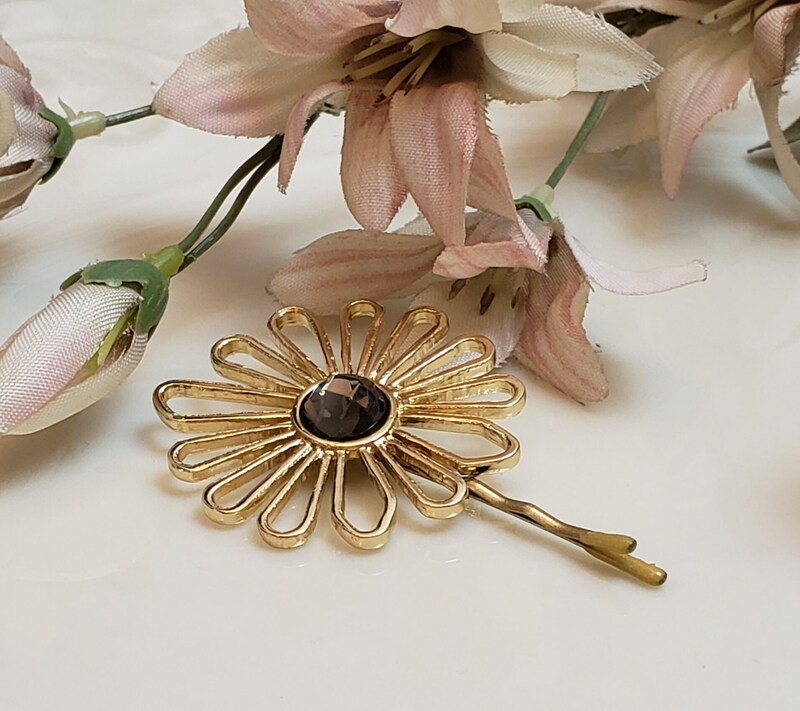 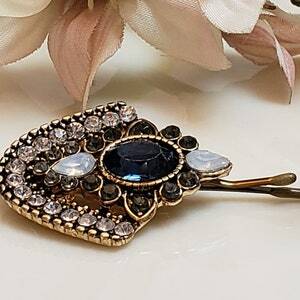 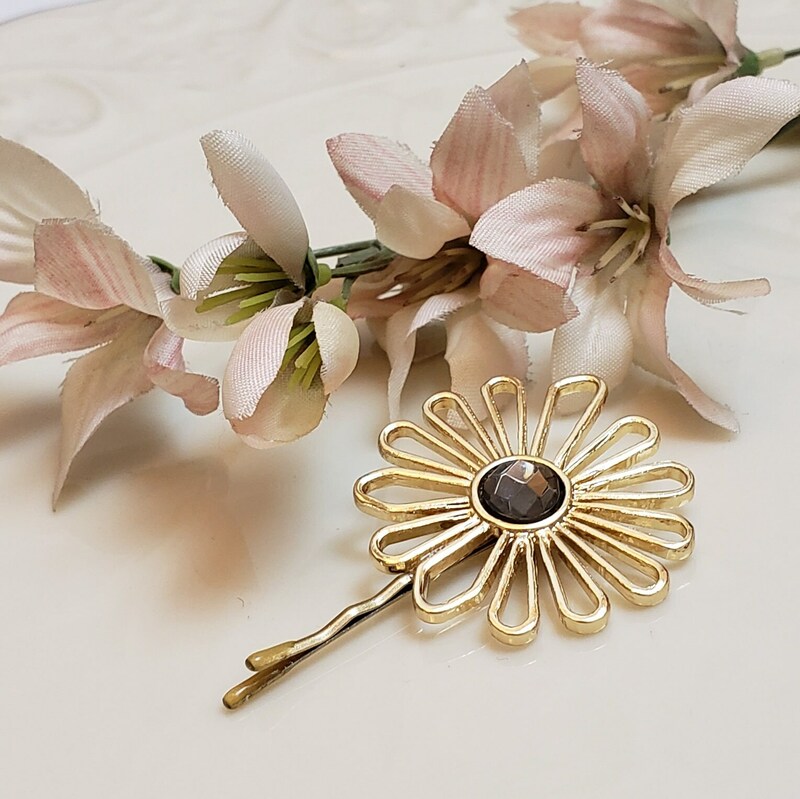 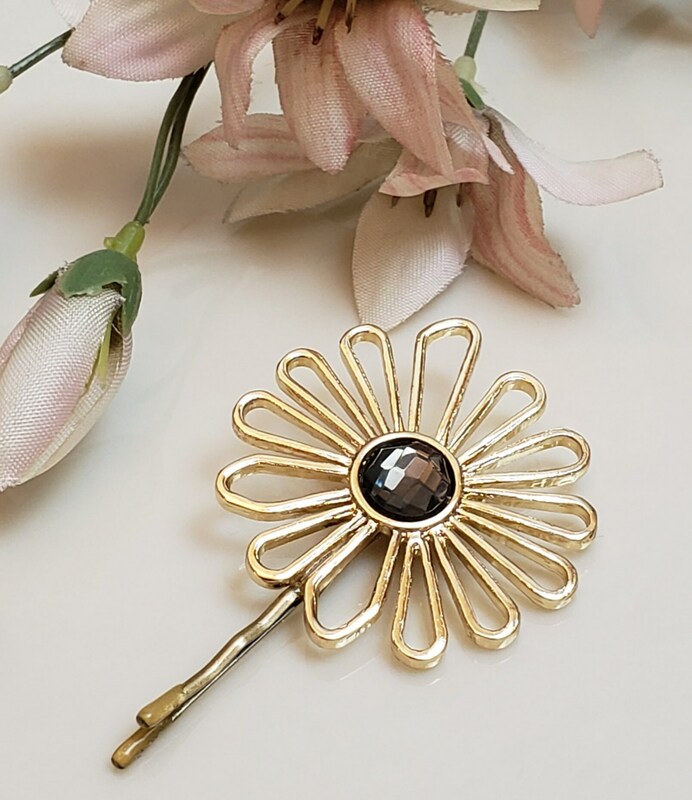 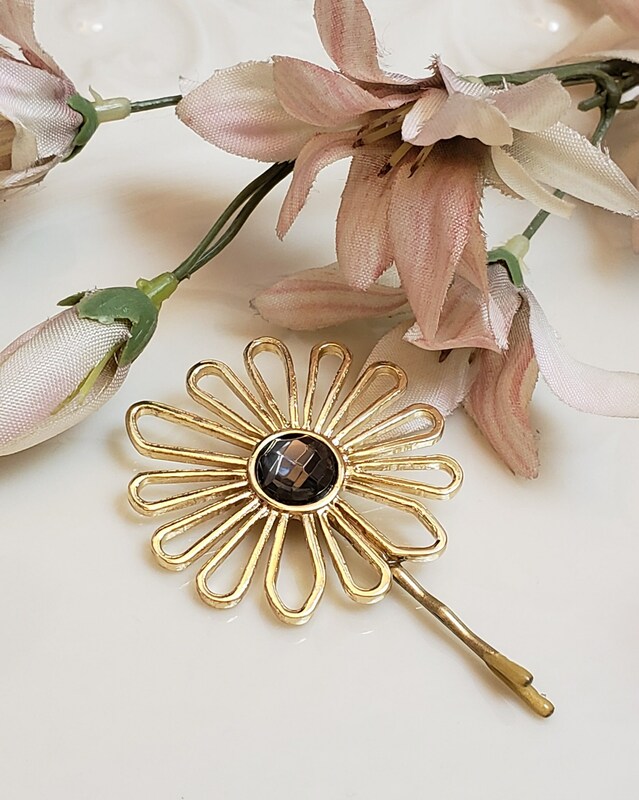 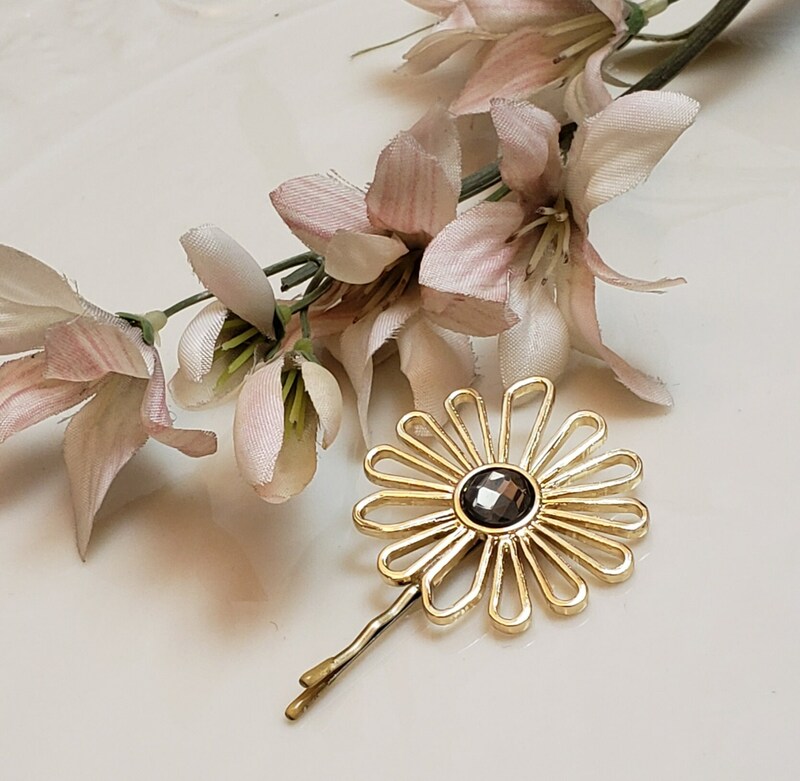 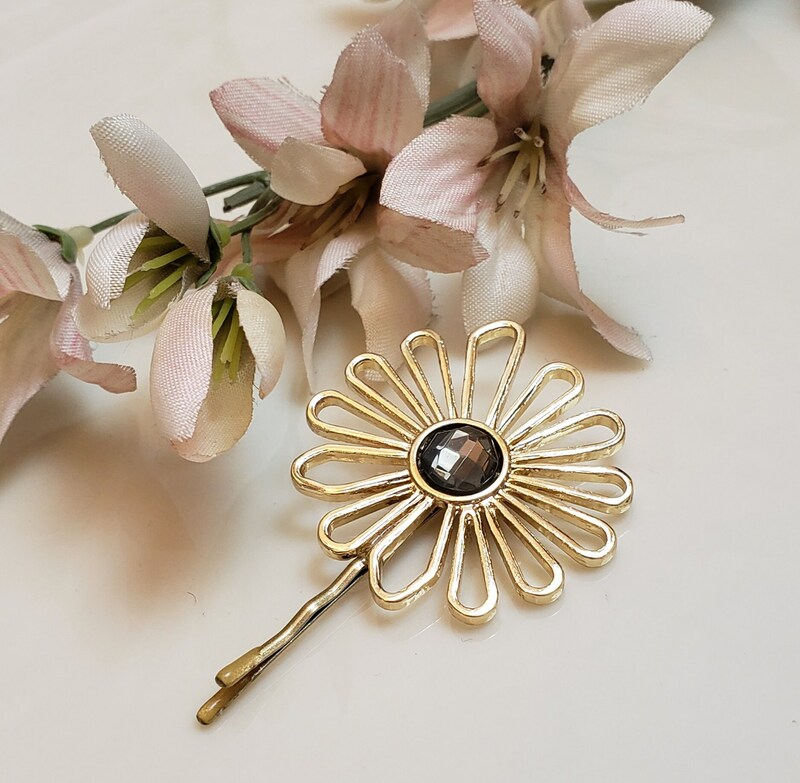 Light and breezy daisy tichel and hair pin on a light gold mini bobby pin! 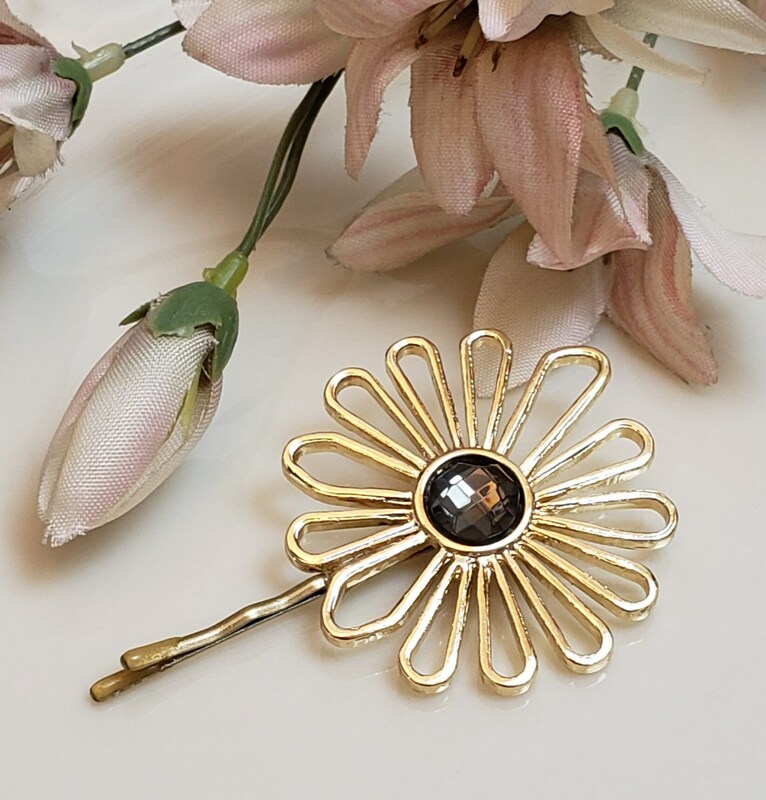 Follow the artistic lines of the daisy to the lovely central translucent brown gem. 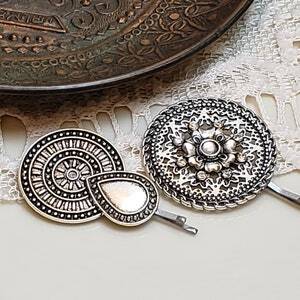 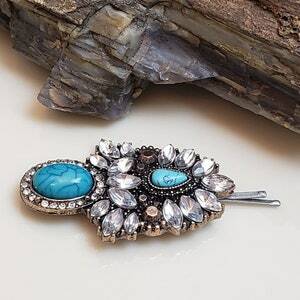 Tichel pins add an instant upgrade to your head covering and outfit!